Your big trip is finally here. The one for which you’ve scrimped and saved and pored over dozens of guidebooks and blogs, researching all the things to see and do. The one you’ve been counting down to for months. But then you land at your destination, and you’re beat. Your nose is running, your throat is parched, your backpack feels like lead and the locals don’t seem friendly at all. The next day, a full-blown cold hits. What a miserable start to your dream trip! If you’ve never experienced this (really?! ), good for you. On my first-ever solo backpacking trip to Scandinavia, I’d packed my warmest base layers, fleece and softshell jackets, and heat packs – but didn’t realize how important it was to actually prep my body. Traveling to a different country is a wonderful experience for the soul, but a stressful one for our immune system: we’re forced to quickly adapt to different climates, lopsided hours, and unfamiliar food. Needless to say, plane rides add to the challenge with filthy cabins, pressurized air, and cramped space. Luckily, since that first trip (and dozens of flights later), I now practice some simple yet effective habits that help me stay healthy while flying. If you’re that unlucky soul who just can’t sleep on planes or resigned to suffering debilitating jet lag, try these air travel tips. I promise they’ll help. 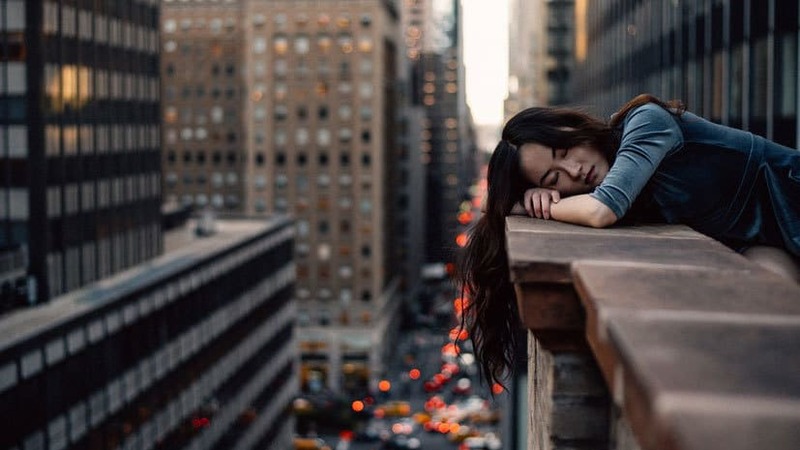 Jet lag is the last thing you want to get on arrival in a new destination. To keep my body going strong, I usually pack a tube of effervescent multivitamins and pop one the day before I fly. I recommend Airborne as it includes a natural herb blend and has lots of flavors that taste better than other brands I’ve tried. Plus, fizzies will get you hydrated while adding some zest to plain ol’ water. I confess: I’m a habitual last-minute packer. I often start less than 8 hours before leaving for the airport and squeeze in a 3-4 hour nap. This messes up the body especially if you’re taking a morning flight: insufficient sleep affects our body’s temperature-regulating abilities, so I often end up shivering in those chilly airports and planes. It’s easier said than done, but try to get a full night’s rest before a flight, especially if you’re like me and can’t afford Business class seats! Despite a family history of varicose veins, it was only in the past year that I started paying attention to the few veins starting to appear on my legs. I started wearing compression stockings as part of my long haul flight outfit and it’s made a huge difference. Apart from reducing the risk of DVT, I sleep better in the plane and my legs feel loads lighter upon arrival. It’s not necessary to get expensive (and often uncomfortable) medical-grade compression socks unless your doctor has prescribed them. I prefer footless or open-toed thigh-high stockings for maximum comfort – check the most popular brands and prices. A good stretch will boost your circulation and energy levels. Nearly everyone I know prefers nonstop flights to get to their destination as quickly as possible, but it seems most cattle class seats are designed to destroy your posture. Well, not only are flights with stops cheaper, they also grant you the opportunity to stretch away stiff backs and in-flight meal bloat (and use a decent loo). Check out #airportyoga for inspiration! See that smoothie that’s been sitting in ice for hours in the airport food court? Or that smoked salmon salad on your airplane meal tray? Don’t touch it. Not unless you want to be miserably bloated all through your plane ride (bloating feels a lot worse in a plane thanks to the lower cabin pressure) or worse still, end up with gastroenteritis or food poisoning. This is a great addition to your travel first aid kit that goes beyond plane travel. A serving of probiotics can provide much-needed relief when your gut isn’t behaving on the plane, or isn’t enjoying the exotic local cuisine as much as you do! Powders or capsules work equally well but these come in convenient blister packs and contain both Lactobacillus and Bifidobacterium strains. No probiotics? 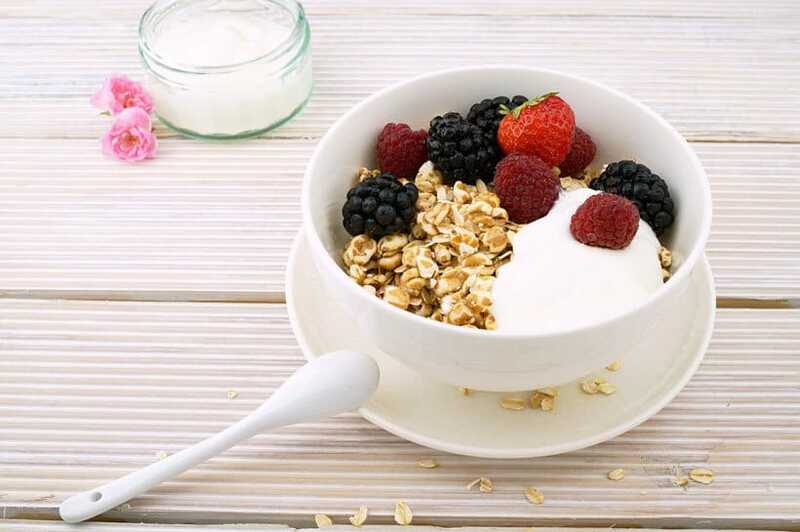 Try fresh yogurt for your first breakfast in a new destination. Your mouth is the first place where germs enter and breed. After a long flight with meals, sleep, and restricted access to water, you can be sure it’s filthy. Pack a toothbrush and toothpaste in your carry-on for long-haul flights so you can refresh your breath and at the same time, wash your hands thoroughly – not with a lazy soaping but like this – to keep those nasty airplane pathogens at bay. Have you realized that the stuff we usually forget to pack, the key items, are the ones that go last into our carry-on luggage? That’s why I have a packing list which faithfully helps me pack on autopilot for my trips, and you can download it here! Tip. If you don’t want to print out the list, copy it into an app like Google Keep so you can use it over and over again. Essentials aside, these are my choice of the best travel items for long flights if you haven’t got them yet. This travel pillow with hoodie blocks out surrounding light (and hides my face), eliminating the need to pack a sleep mask. Having tested dozens of different neck pillows, I’ve found the best travel pillow for long-haul flights should have a snug fit around your neck and firm filling for better support. Choose memory foam over Styrofoam bead fillings. Travel hack! Get a u-shaped travel pillow with a removable cover like this one. Remove the filling/cushion and stuff a down or fleece jacket into the cover instead. Use your “stuff sack” travel pillow on the flight and pull out the jacket to wear when you’re cold! I typically travel with my audiophile-grade Westone UM Pro 30 in-ear monitors; if I’m not being picky, they work fine as earplugs to block out ambient noise. However, for true peace and quiet to survive long flights in economy class, you’ll need active noise cancelling headphones like the highly popular Bose QuietComfort 35. I carry a water bottle with me at all times in order to minimize my consumption of bottled water + a Sawyer Mini water filter for places where tap water isn’t safe to drink. The GRAYL water purifying bottle, however, has been recommended by thousands of experienced adventurers. Its built-in water filter is easy to use and filters viruses in addition to bacteria and protozoa, so you can fill up and drink from virtually any source. One of my favorite long haul flight tips for women is to slap on a face mask: it’s my hydration savior in dry airplane cabins. I’m a fan of Mediheal sheet masks; each one is drenched in essence that you can also apply to your neck and hands. Overnight masks like the soothing lavender-scented Laneige Water Sleeping Mask are fab too, but make sure you keep them below 100ml. These aren’t really something to pack so much as to wear during your flight: mild compression sleeves have transformed my long haul flight experiences. But unless your doctor prescribes it, I don’t recommend medical-grade compression socks as they may be too tight and restrictive. Pack essential medications in a small pouch. I include the following: paracetamol (general inflammation), cetirizine (antihistamine), pseudoephedrine (more effective decongestant than phenylephrine but is typically a regulated drug), loperamide + activated charcoal + Po Chai Pills (diarrhea), probiotic chewables, effervescent multivitamins, water purification tablets, band-aids, packet of biscuits (emergency snack for blood sugar dips). Integrate these essential tips into your air travel routine, and I guarantee you’ll no longer land at airports feeling like the cold, stale bun on your meal tray. Of course, there are plenty more air travel tips to make flying more comfortable, such as investing in a good travel pillow or face mist. What routines do you have to help you conquer long haul flights? LOL I love the window seat so I actually have a game plan! Drink to empty my bottle before Immigration; pee (and refill bottle) before boarding; drink periodically throughout flight; guzzle again 2 hours before landing; hit the airport restroom on arrival since customs queues are usually crazy anyway. Hahaha. I bring Vit C when I’m heading for cold countries – too extreme for my body, but never thought of fizzing it up before flight! I shall try it next time, along with packing probiotics! Stretching is very important to be before boarding, and I also try to stretch at the end of the airplane after coming out from the lavatory. Stiff bodies are no fun. Those are all great points. I especially like the one about not thundering into your holiday at full speed, and expecting to feel brilliant. We spent far too many trips crashing and burning at the start by trying to get everything done before we left. Now we just chill out a bit and it makes a massive difference. My only other tip is to pack healthy snacks if you can I’m coeliac/lactose intolerant, so I mostly bring my own food and feel much better for it. Nothing sloppy of course, because of security. Planes make me SO ill!! So I started with the vitamins not too long ago actually and I think it’s helped a bit. I need to get some compression socks though. I already do the stretching and teeth brushing (my mouth used to taste AWFUL after a long haul flight it was vile). This is a super helpful article and completely relevant to me- thanks! These are all great tips! I need to investigate the compression stockings for sure – are there any brands that you recommend? I never considered air pressure would affect stomach bloating on airplanes. That would make a lot of sense and explain why I feel bloated without even eating much! Some very thought provoking tips here and I’ll hunt out some good yoghurt next time I fly! Oh yes, like a bag of chips 😛 Yoghurt is delicious anytime. Yep, I only just realized even 6-8 hour flights mess up my system. I’m still on the hunt for a good packable travel pillow though – any recommendations? I just got a travel pillow off amazon that inflates and goes on your tray table- you put your face through a hole and it supports you 🙂 im excited to try it!